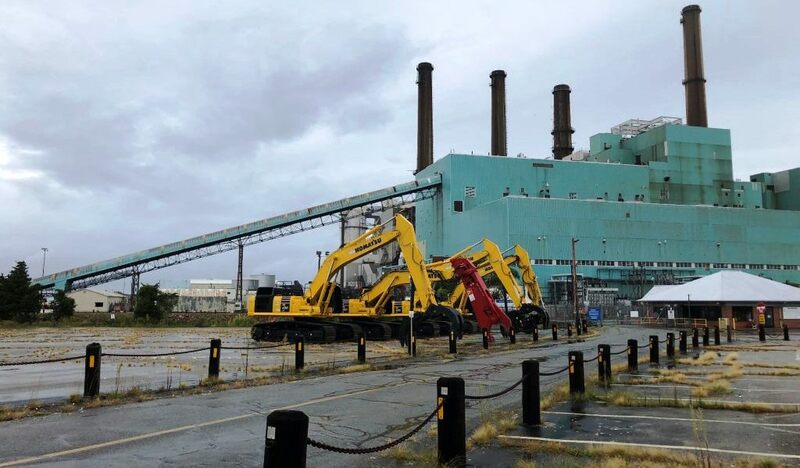 In Somerset, Massachusetts, the Commercial Development Company Inc. (CDC) has begun the demolition of the retired Brayton Point Power Station. It’s the necessary first step towards repurposing and renewing a prime piece of real estate that has for too long been blighted by this ugly, toxic, antiquated monstrosity. Now that solar and wind power are both cheaper than coal—even without federal subsidies—there’s little reason for any coal-fired plant to remain in operation for much longer. Of course—as pointed out in The Restoration Economy back in 2002—if we had been using full-cost accounting—which factors-in all related costs, such as damage to human health, damage from climate change, and cost of mine cleanup—coal (as well as nuclear and oil) would have been seen as non-cost-competitive decades ago. Once the largest coal-fired power plant in New England, Brayton Point Power Station was purchased in early 2018 by Brayton Point LLC, an affiliate of CDC. Since the acquisition, Brayton Point LLC has invested significant resources into repositioning the 307-acre retired power plant site including a plan to transform the former power plant site into a commerce center campus for new and sustainable revitalization. Repositioning activity has already included asbestos abatement, environmental remediation, demolition permitting work, and extensive redevelopment planning. An important step in the process is structure demolition, which was initiated on September 24, 2018 and is anticipated to be completed later in 2019. Contractors working for Brayton Point LLC are currently on-site demolishing fuel oil tanks and power plant buildings. Preparation and permitting efforts for demolition of other power plant structures are also underway. Planning and coordination with local authorities will continue as this work proceeds. As demolition in large areas is completed, those areas will then be restored in preparation for redevelopment projects that will be have not yet been announced.